The automotive industry is one of the most difficult ones to work in. Not because it includes physical work, but it’s about the working environment and conditions. Workers in automotive workshops do not have easy jobs for sure. Their job is dirty, loud, often physically demanding and can be very dangerous. Just imagine spending most of the time under different vehicles, handling massive machinery and tools, surrounded by toxic chemicals at every corner. This does not sound very fun, does it? What’s more, being extremely careful and cautious all the time is an absolute MUST! While working in this industry, workshop employees get injured very often in different ways. Although people usually first think of cuts, bruises and breaking bones, actually the biggest danger lies in the chemicals employees are surrounded by. And not just the chemicals they use while doing vehicle repairs, but also the ones they use for cleaning their tools and space. Yes, you have heard it well – cleaning can be very harmful to the employees depending on the products they use for this activity. Hazardous chemicals are everywhere. How to Protect Your Employees? Preventing accidents and protecting the workers is one of the top priorities when running a workshop. It may sound a bit scary and extremely difficult to do this, especially when it comes to protection from toxic and hazardous chemicals. However, the process can be simplified if you follow these simple steps. First of all, each of the employees should know which chemical can be a potential hazard and which one is not. 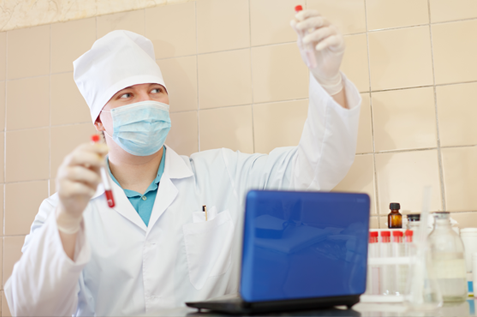 It is crucial that employees do not use a chemical which they are not fully familiar with. Train the employees to read labels and to create a habit of checking each chemical before using it. Furthermore, make sure they are using chemicals in the way it is advised on the label. Instructions are there to be followed, right? One of the most common diseases which can be found among workshop employees is related to the respiratory system. Lungs get damaged very often due to constant exposure to toxic substances employees breathe in while working. The best way to deal with this issue is to invest in a good ventilation system. The continuous flow of fresh air would be extremely helpful in this case. Also, workshop employees are regularly exposed to high temperatures, and with this particular investment, you solved one problem more! With investing in the equipment of the high quality, you have done one of the imperatives in your employees’ protection. It is definitely among the most crucial steps in case of prevention of injuries of any kind, especially those coming from hazardous chemicals. Make sure your employees have goggles, gloves, uniforms, and safety hats and shoes if necessary. In addition, it is advisable to organise training about the proper use of all the pieces of equipment. Maintaining it in a good way after use is also essential. This may sound a bit serious. However, it is a real necessity. Do not think you have to spend a lot of time on the organisation. It can be done in one day! Just think about it: one day – many benefits! It refers both to the personal hygiene of the employees and keeping the workshop clean and sanitised. It is impossible to separate these two, right? Ensuring that employees have a fixed routine of doing simple hygienic activities, like hands washing, can reduce the amount of a chemical substance that is absorbed by an employee’s body. Furthermore, implementing a proper workshop cleaning routine can do miracles for decreasing the number of injuries caused by toxic and hazardous chemicals. In order to do this thoroughly, you can make a cleaning schedule poster. In that way, each of the employees will know whose turn it is to clean a particular area of the workshop and when. Keeping the workshop spotless and in a perfect order will definitely help both in keeping the employees safe and in faster working procedures since they will always have all the necessary parts clean and ready to use. Just imagine how it can make the life of employees much easier! If you want to get even more benefits from cleaning activities, you should definitely think about investing in Ecosafe Washer! It will make all the toxic, oil and dirt disappear from your machine parts! And what is even greater, you will help the environment since it is 100% natural solution. It uses hot water and zero chemicals! You are just one step away from the simplest and the safest way to clean your machine parts! Call Alsco now, and our friendly representatives will happily find the best solution for you!